This is part 4 of 4. Want all 4 parts of the “Home Grain Milling 101” series combined into a FREE all-in-one eBook you can refer to offline? As if milling your own flour wasn't exciting enough, let's really have some fun! 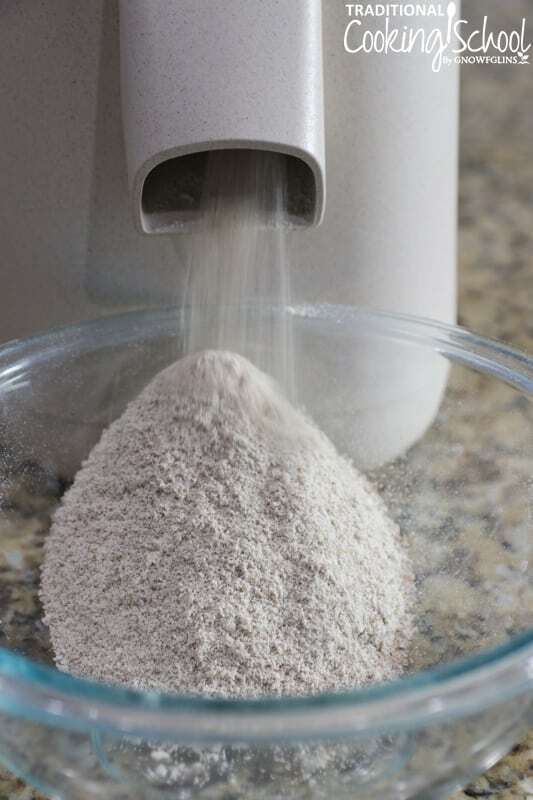 We covered the basics — why mill your flour and how mills work — plus how to mill gluten-free flours and how to bake with fresh-ground flour. So now it's time to show you what else your grain mill can do!!! Check out the 4 more things (actually, 5!) 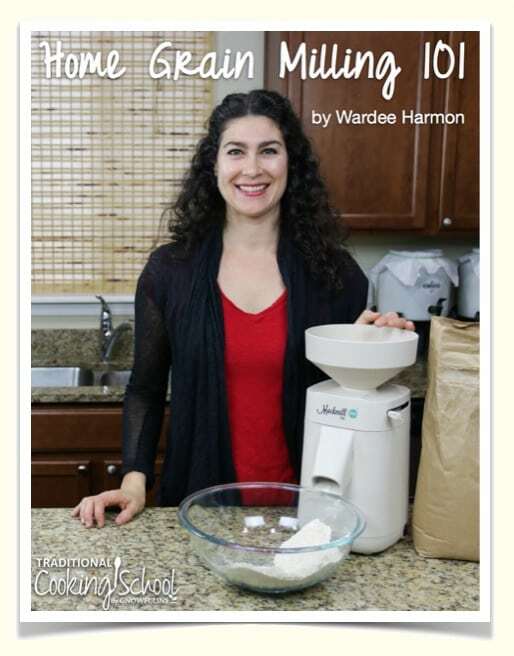 your grain mill can do in today's #AskWardee in print, podcast, or video below! 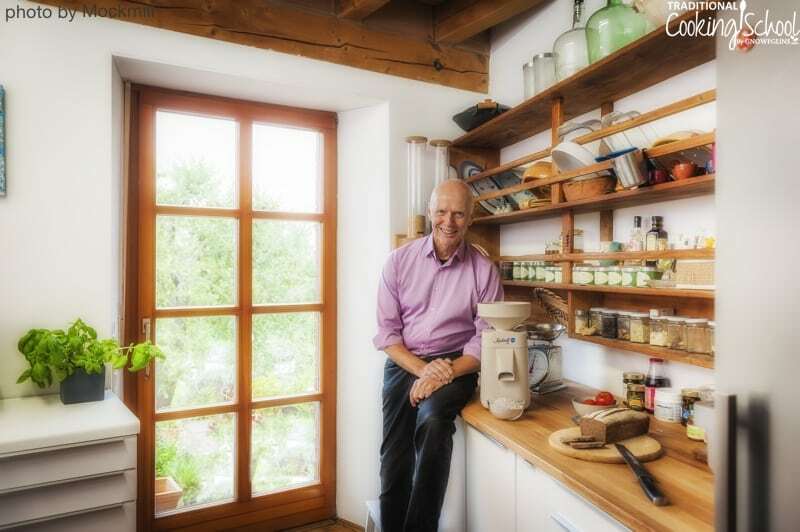 Q: What Other Things Can A Grain Mill Do? What other things you can do with a flour mill? For instance, can you grind nuts and seeds or do other things with it? Besides the obvious, your grain mill can do many other things. I'm showing you 4 today. Actually, 5, because I have a bonus tip for you, too! Be sure to check your mill's manual or check with the manufacturer before doing any of these things. Mills differ in what they can and can't do. I went through the major mill types (impact, stone, steel, etc.) and what they can do here in Part 1. Making sprouted flour (we have an excalibur dehydrator)… some mills don't do well with that? 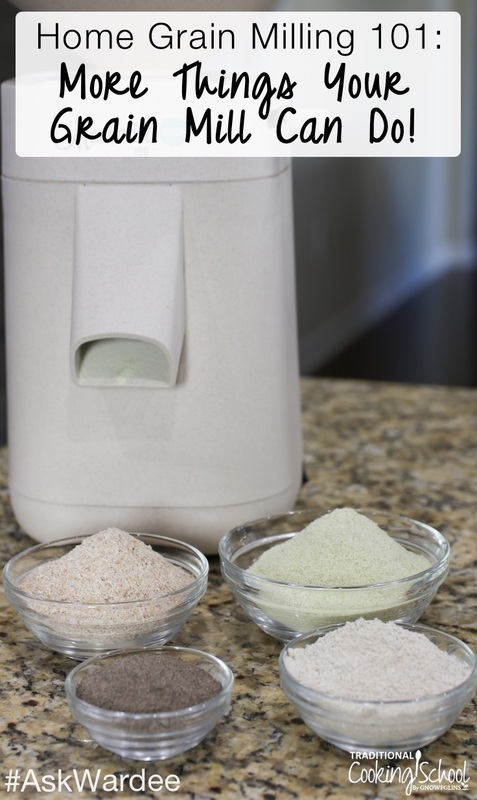 You can absolutely make sprouted flour in your grain mill. It might be true that some mills don't allow it. However, all the mills I have used do. Dry grains (all the way). Adjust Mockmill to desired fineness. Add sprouted grain to the hopper, and flour will come out the spout into your bowl. Check out the video recording above to see how the Mockmill — my favorite mill — handles sprouted grain. Adjust Mockmill to desired coarseness. Add grain to the hopper and your cracked grains will come out the spout into your bowl. Crack different grains if you want a mixed grain mix. 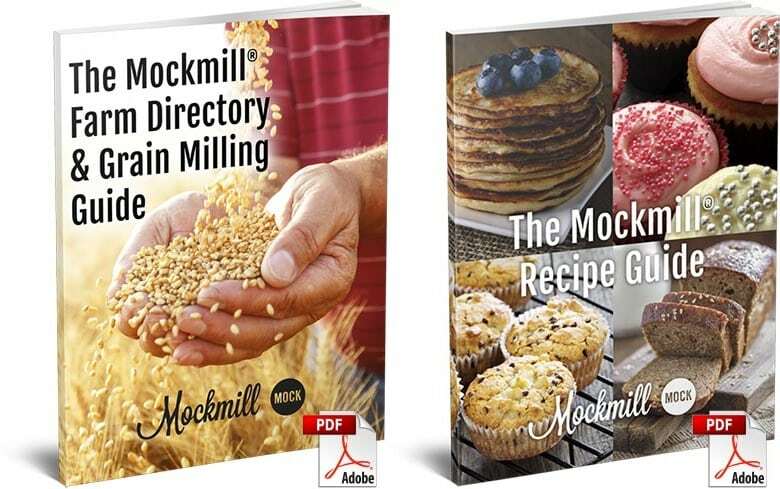 Check out the video recording above to see how the Mockmill — my favorite mill — cracks grain. 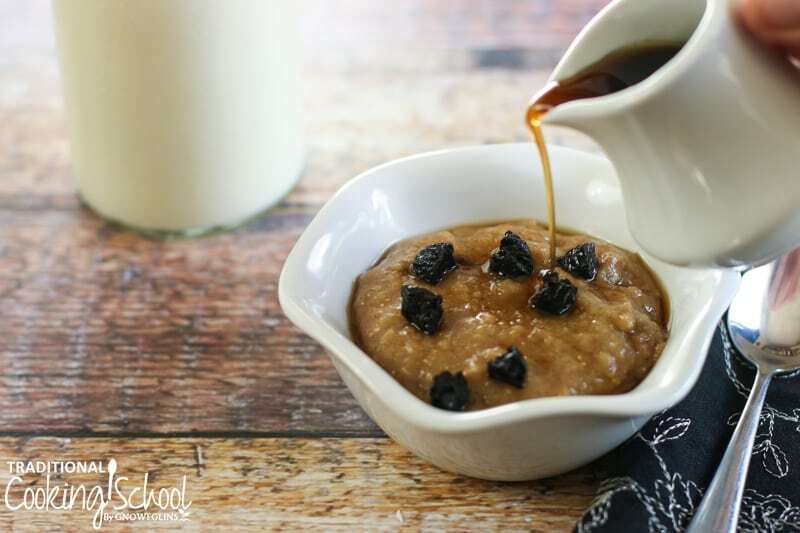 And look below for a delicious soaked einkorn porridge recipe using cracked einkorn! Here's an easy, nourishing breakfast porridge made with einkorn cracked in the Mockmill and also soaked to make it extra digestible! The evening before you want to enjoy this dish, crack the einkorn berries in the Mockmill. Put cracked einkorn in a small to medium pot. Add warm water and sourdough starter (or apple cider vinegar). Stir briefly. Cover and let soak overnight, or 7 to 8 hours. The next morning, add cinnamon and stevia (if using). Mix while heating over medium heat. Stir constantly as it thickens, about 5 minutes. Remove from heat. Scoop into bowls, and top as desired. Serve and enjoy! *Dried fruit, chopped nuts, shredded coconut, maple syrup or raw honey, raw milk, butter, sour cream, etc. 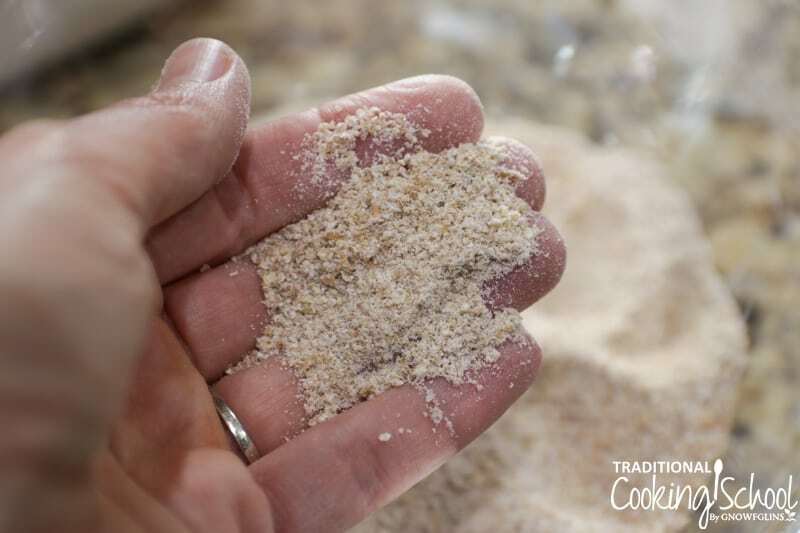 You can mill other hard items besides grains… like bean flours or corn flour! 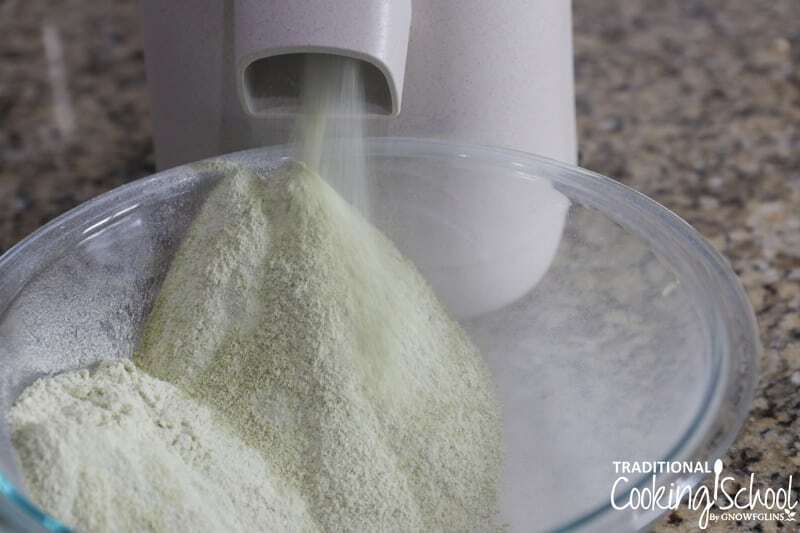 See the video above where I show you how to make pea flour. (It's tasty to add to breads or savory loaves in small amounts.) You can do this with dried black beans, garbanzo beans, and even field corn. Adjust Mockmill to desired fineness/coarseness. Add beans to the hopper a little at a time and your bean flour will come out the spout into your bowl. 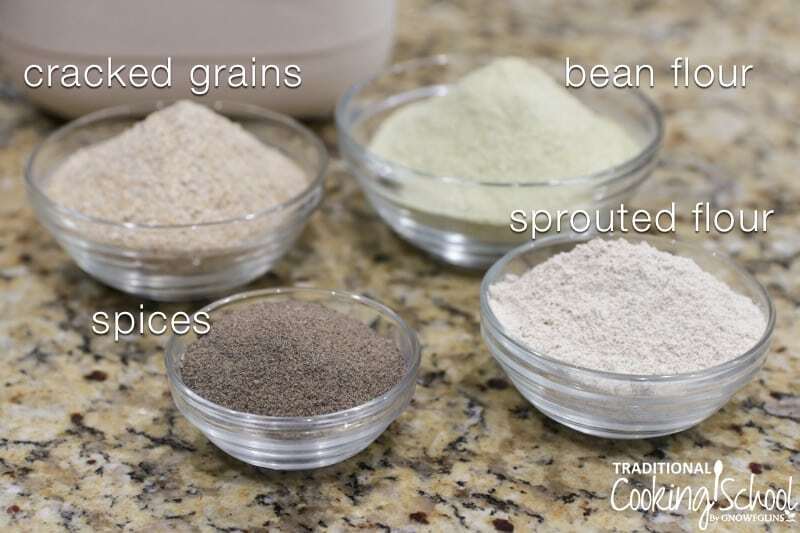 Add different kinds of beans/grains if you want to create a mixed flour. Change containers and run cheap white rice through the mill to clean it out. Check out the video recording above to see how the Mockmill — my favorite mill — grinds split peas into bean flour! You can save money and increase the quality and flavor of your spices if you grind them fresh… and if you store them in air-tight, light-proof glass herb storage jars like these. Please note that you should check your manual or manufacturer to find out what spices are ok to use. 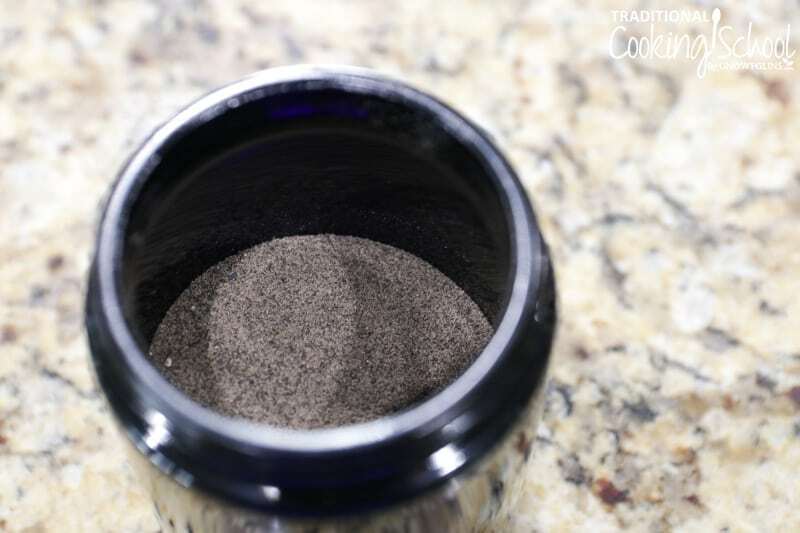 With the Mockmill, grind only non-oily spices such as black pepper. For best results, store air-tight, light-proof glass herb storage jars like these. Run cheap white rice through the mill to clean it out. 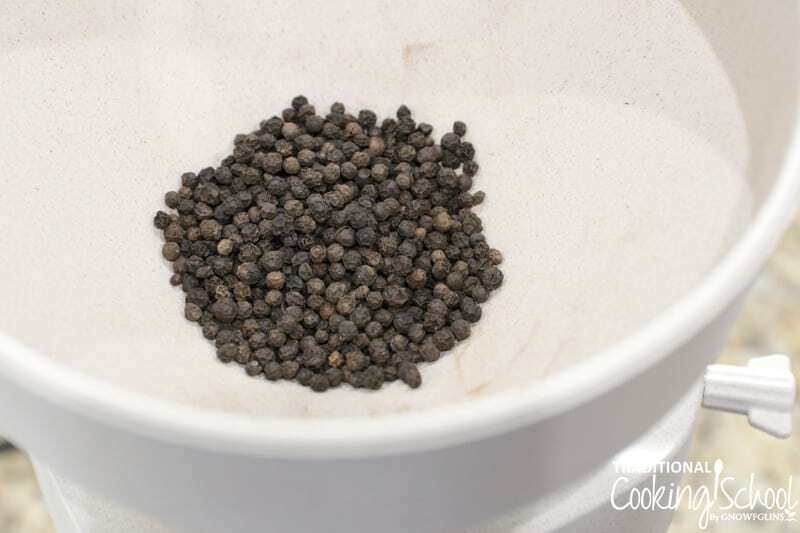 Check out the video recording above to see how the Mockmill — my favorite mill — grinds peppercorns into fresh-ground black pepper! 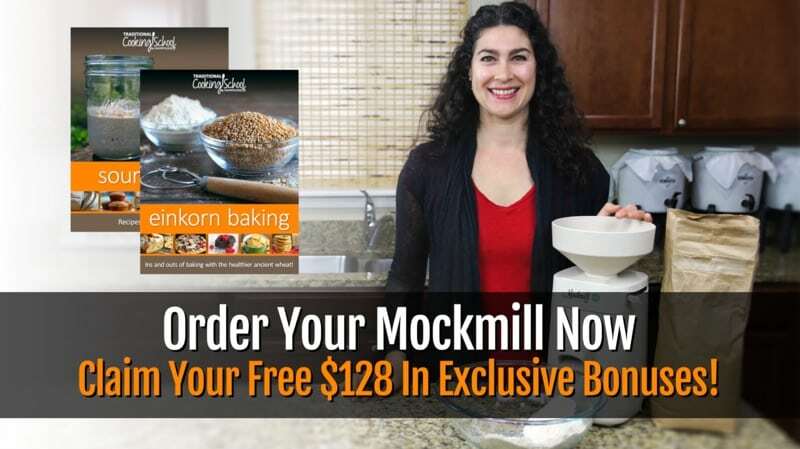 As Paul from Mockmill shared in this webclass we did together, if you have the Mockmill Stand Mixer Attachment that fits KithenAid and Kenmore, you can run a dry sweetener through it to create fine confectioner's sugar! How cool is that? Click here for the webclass replay where he explains this. If you don't have time to watch it, click the link at the bottom to download the transcript and read along! This part 4 of 4. Want all 4 parts of the “Home Grain Milling 101” series combined into a FREE all-in-one eBook you can refer to offline? 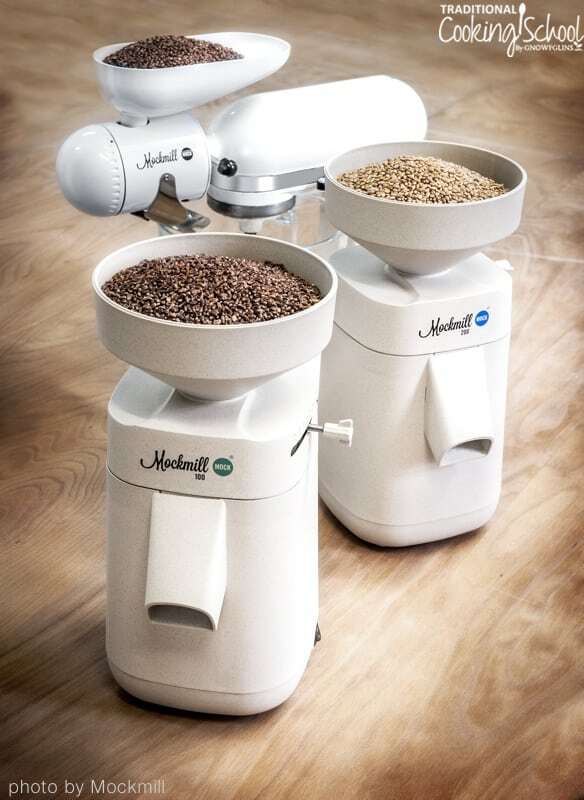 What not-so-obvious things do you do with your grain mill? Please share in the comments! I have a quick question. When you sprout the wheat berries and then put them in the dehydrator on 113F for about 12 hours, wont that affect the nutrition of the grain dramatically? How do you manage this? The internal temperature of the grain, especially since it is wet, will take a good deal of time to 113-degrees if you keep your dehydrator at 113. The link to the Mockmill website does not work. Every time I click on it, it tries to load and then immediately disappears as if it were never opened. Does anyone else have this problem? I’m sorry you’re having problems with the link. It seems to be working fine on our end. You may want to try clearing your cache. 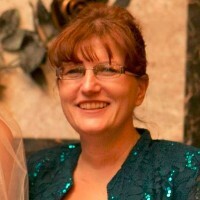 Hi Wardee, I hate to bother you at this super busy time ! But I was hoping to be able to make a sourdough bread for my Christmas gathering . I have made the easy Einkorn Artisanal and English muffins a few times with my own sourdough starter , having followed your instructions . They were so yummy ! BUT , last week I ground my own Einkorn berries ( from Jovial foods ) and have been making my starter , keeping it nice and snug /warm, feeding it etc. It’s been 5 days and not one bubble ! It does have a bit of a sour taste, but it looks like it just isn’t fermenting 🙁 First time this has happened to me ! ( I had used Einkorn flour for my other starters , with no problem ) Thanks so much and Merry Christmas ! Sometimes starters can rebel with even a slight change. 🙂 Be sure to keep it warm, you may need to find a warmer place for it such as in the oven wit the light on, then keep feeding it at least two times per day. Give it another couple of days to see if it bounces back. Hope this helps! ~ Millie TCS Customer Success Team. Our friends over at MockMill say yes. However, with every setting there will be a wide range of particle sizes. To produce a “bulgur” requires a strainer/sifter/screen to remove the smaller particles, which can be re-milled for flour. This is how bulgur was traditionally made, before industrialization. Yes, thank you Vicki. I’ll let you know my results when I try it. This looks fascinating. I am wondering if the Mockmill will grind nuts into flour, as they are oily. Am on the Keto diet and it would save money if I could grind my own almond flour, etc. Thank you. Sorry but you can not grind anything oily in the MockMill, such as nuts. Hi there! 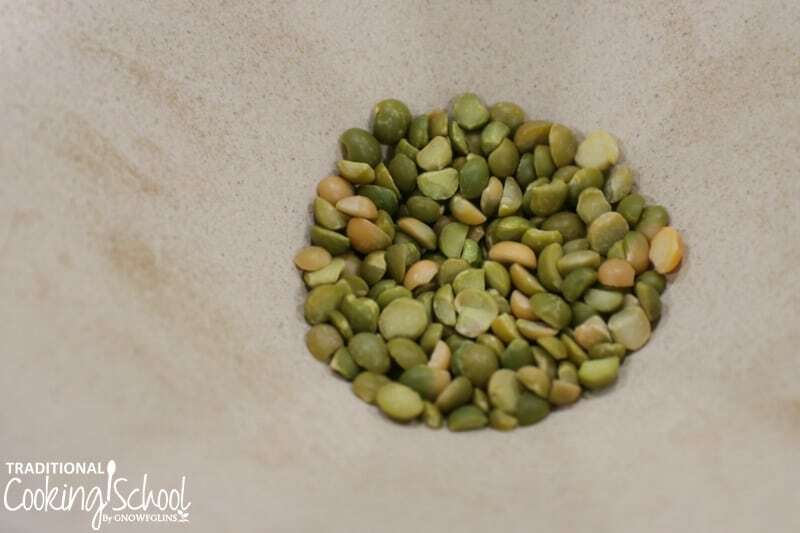 A question about milling beans, peas, lentils: Is it safe to cook with these flours if they have not been previously soaked and cooked in a fresh pot of water, or sprouted and boiled to reduce the content of natural lectins. I know red kidney beans are particularly problematic to consume raw and not sure if other drier cooking/baking methods that don’t eliminate lectins via soaking and boiling is safe. Can you shed light here? That is a great question! 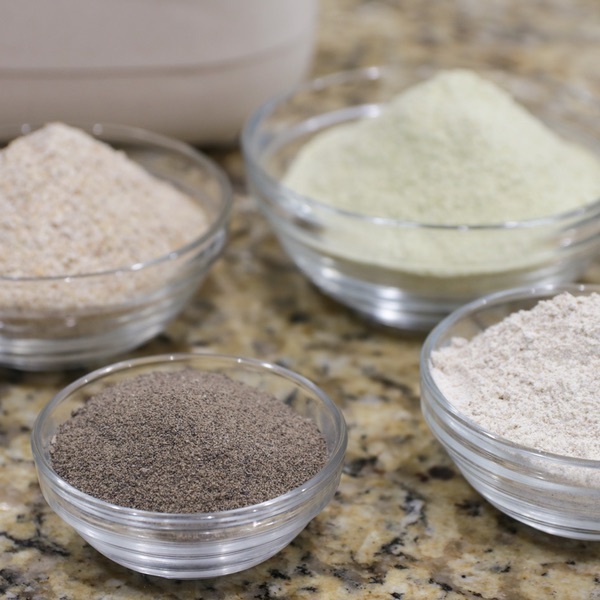 We recommend using bean flours in soaked or sourdough recipes, just as we recommend for grains. If you do this, there is no concern because the beans get soaked and prepared for best digestion. You can also soak, dehydrate, and THEN grind the beans. That would make a bean flour that can be used in recipes without soaking or sourdough. I just tested the link for the MockMill and it worked for me. Try closing your browser and reopen it. Your browser maybe stuck, they do that sometimes. Curious if the mockmill (not the kitchenaid attachment version, but the larger one) can grind sugar? Has anyone tried it? Hmmmm…. Only the Kitchen Aid MockMill can grind sugar into powdered sugar.